These days it’s not hard to find content marketing strategies, tips, and how-tos to help you with your inbound marketing. This of course is great for all of us marketers, business owners, and content developers. However, despite the abundance of great resources that are out there, I think there are some shortfalls. An obvious example would be that most of the strategies you come across are for online marketing. This might seem fine with most people, mainly because we are living in an increasingly digital world, but it’s still limiting to some businesses. After all not every business has an easy go of it when it comes to online marketing. As marketers our job is to help businesses reach their customers regardless of whether it’s online or offline. One way we would like to help, is by contributing a series on offline content marketing strategies for different business. I have a particular goal set for the number of business and strategies I would like to write about, and hopefully we can all get to the finish line together. In the meantime however, if you have any suggestions for businesses you would like me to cover, let me know in the comments. I want to keep this simple so I want to propose only two rules to stick to. Rule #1 is there can’t be any selling, direct or indirect in any of the strategies. The idea is to offer value, not to make a sale. Rule #2 is the strategy must be something you can continue to do, and not just a one time thing. For our first strategy let’s say you have a limo business that takes passengers to and from the airport. A simple content marketing strategy for your limousine business would be to use an item you come into contact with on almost every trip. This item is also not only important to your customers; it’s also something they will take along with them on their journey. If you haven’t figured it out, I am talking about a traveler’s luggage. Any and everyone who is flying probably has luggage with them when they travel. One way you can use this for content marketing strategy is by getting some tags similar to the ones the airlines place on the luggage passengers check in. On these tags you can print content similar to what you would do in a blog post or article on your site. If you can create posts on your blog, then there is no reason you can’t do the same here. Where are can you get some tags? You can get tags from many different places. Similar to an earlier post on business cards my first suggestion would be to try a local shop in your neighborhood or area. If you can’t find a local shop nearby, or you want more options, then don’t worry because there are plenty of cheap places. 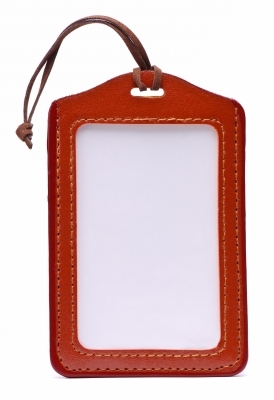 Simply search for “luggage tags” and you will find sources ranging from Amazon, Walmart, and Zazzle. To locate more cost effective tags or labels when searching on Amazon for example don’t forget to search for price from low to high. For this strategy you can create almost any kind of content that is similar to what you would develop for your website. While you might not be able to create webinars, and podcasts, there is no reason you can’t create top 10 lists, advice, tips, how-tos. There is really no limit on what type of content you can create. To make it easier on yourself you can create content on some of the major cities your clients travel to, general travel tips, and most of all content on your city. Whether you are picking up or dropping off, there is a great chance it’s happening at your local airport, so you should at the very least be able to provide your passengers with useful and interesting content about your city. To illustrate how you can go about doing this, let’s say you have a client that is headed out of town. As you put their luggage in the trunk of your limo you place some tags with content (provided this is one of the cities you already have content for) about their destination city on their bags. When you arrive at the airport and proceed to take the luggage out of the trunk you let your client know you have placed some tags on their luggage. Inform them that the tags contain a top 10 list of things not to miss while at their destination. The first added value you get from employing this strategy is you are increasing your level of interaction with the customer. Second you are hopefully offering something of value to your customer. As your client leaves, the piece of content you created leaves right along with them. Hopefully when they get to their destination they might actually do one or more of the things on your list. Whenever your customers do any of the things you suggest to them, chances are they will be thinking of your company or brand. Also there is the added chance that customers will have a conversation or two with someone else about your recommendations. Think about it, if they are traveling for a business meeting, isn’t it possible that after their meeting wraps up they mention the fact that they are doing such and such, because they read that its something that shouldn’t be missed. Here again is another chance for your brand to get a mention and be top of mind. Can you take your new strategy even further? To get even more value from your new content marketing effort you can make your tags bright, or neon colored. The idea here is that hopefully these colors would help your clients spot their bags more easily. This might actually incentivize your client to leave the tags on their luggage because they help them in locating them at the luggage carousel. As you can see, besides allowing you to provide your customers with value, this strategy also increases your engagement with them as well. Even better if you are having a hard go of it online, you can still create and connect with your customers through valuable and informative content. 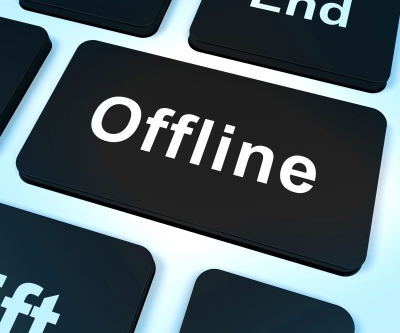 Can you think of any other ways a limo business can connect with their audience offline? Also are you perhaps giving offline marketing efforts a second look?